Am I qualified to serve as a missionary with GMI? If you are reading these FAQs you may very well meet the first requirement—that you have a desire tobecome a missionary (1 Timothy 3:1). Going beyond the desire, do you have a God-honoring Christiantestimony at home, at church, or in the community? Another requirement is that you agree with GMI’s doctrinal statement which you can find HERE. GMI also requires U.S. missionary candidates to have a college degree and the equivalent of a year of biblical education. How do I know if God wants me to be a missionary? It is interesting that as Paul writes Timothy about the qualifications to be a pastor, the first thing Paul writes is, “This is a faithful saying: If a man desires the position of a bishop, he desires a good work” (1 Timothy 3:1). So, the first question you need to ask yourself is whether or not you desire the good work of serving the Lord in a foreign country as a missionary. If this is your desire, and you are quali–fied, go for it! As part of this process, you should ask the Lord to help you search your heart to deter–mine if this is what you really desire and if you are qualified according to His standards found in His Word. Also, ask other mature Christians who know you and understand missions what they think. TheCreator God made us in His own image. He designed us with the ability to be creative just as He is. Itbrings honor to Him, as it would for any good Father, for us to develop and grow in our passions and desires to serve Him. The reality is there are many ways we can do this. Mission work is an excellent way to present ourselves as living sacrifices unto the Lord (Romans 12:1). What are some options to receive further biblical education and training? It is not uncommon for a person to meet all the qualifications to become a missionary, but to be lack–ing the requisite biblical or theological education. GMI would recommend you look into institutions such as Grace Bible College or the Berean Bible Institute. In fact, GMI offers a scholarship to both of these schools. You can learn more about these scholarship opportunities by clicking HERE. Do I have the gifts and talents necessary to serve as a missionary? the local church are the kinds of ministries we can also do on the mission field. Having said that, many people, from a variety of vocational backgrounds, have become missionaries by using the skills and talents they have learned to spread the gospel and support the ministry on a particular field. They have combined their skills with their passion to share with others the gospel of Jesus Christ to create newand innovative ways to reach the lost. What about taking my kids on the mission field? What are the schooling options? By all means, take your kids! In all seriousness, our missionary kids are some of the most talented, well-rounded, service-oriented, God-honoring individuals you would find in any church anywhere. Serving together with your family on a daily basis on the mission field is one of the most incredible blessings your family will ever experience. You learn to depend on each other as you watch God do some amaz-ing things! Your kids will get to learn another language, become familiar with other cultures, and greatly expand his or her view of the world and what the Lord is doing in it. Many missionaries home school their children. There are vast resources of homeschooling curriculum available to parents including a wealth of online materials. Other families place their children in private schools or boarding schools where they typically interact with children from other cultures on a daily basis. The life of a missionary kid is rich with life- forming experiences. Do I have to raise my own salary? What all is included in the support package? When the GMI Home Office sets your monthly budget, this will include items such as a monthly stipend, funds for retirement, health insurance, ministry funds, rent, education costs for your children, taxes, and funds set aside for your periodic home assignment. This monthly budget is what you will raise as you write letters, visit churches, and meet with folks to share your burden to serve as a missionary. What is the role of my home church? It is a privilege and a blessing for a church to send one of its own as a missionary. It generates excite–ment about missions and helps the church understand how it can have a global impact.  At the sametime, becoming a sending church might be relatively uncharted waters for a church which is new at this.We have produced THIS document to give your church a better idea of the ways it can get behind you as your sending church. Part of your monthly support budget includes a line item for health insurance. All health care procured overseas is covered 100%! Any health care provided in the States is subject to a deductible. Where can I serve? Would GMI assign me to a country or do I decide where I’d like to serve? Ultimately, the decision of where you would serve is up the GMI Board. However, we want to know where you want to serve and where the Lord has burdened you. Many potential missionary candidates come to us with an idea of where they would like to serve. Others would like our recommendation. The bottom line is that we want to work with you in order to determine where the best place for you and your family would be to serve taking all factors into consideration. You can also take a look at GMI’s mission–ary needs around the world by clicking HERE. After initial discussions with the GMI Home Office about missionary service you may decide you are ready to apply. At this point you will be sent an application to fill out. Upon returning it to the GMI Home Office, we will send out reference forms to the people you provide on the application, and we will con–duct a criminal background check. Upon a satisfactory review of your application, it will be sent to theGMI Board and a time will be set for you to interview with the board which meets three times a year. If there are any questions about your application, the GMI Home Office will contact you to clarify any issues which may arise. Once the board accepts your application, you are a missionary candidate and will begin the fundraising process! Can I get any cross-cultural training? What other kinds of pre-field training do you provide? Depending on previous missionary experience, education, and/or the field you are going to, GMI may offer different kinds of pre-field training and orientations which could include cultural adaptation, church planting, evangelism, etc. While the GMI Home Office provides its own agency-specific orientation re–garding its procedures, expectations, policies, and philosophy of ministry, there are other organizations which conduct orientations touching on topics and areas of ministry which we believe will be beneficialfor the missionary candidate. Do I have to learn another language? Where can I get language training? knowledge of the language, language school can take up to a year to complete. Even after language school is over, you never stop learning! Can I serve as a single or should I get married first before serving overseas? You can do either. Both have advantages and both singles and married individuals have successfullyserved on our fields. A lot will also depend on the kind of ministry you would like to do on the field. How do I handle my debts and still go to the mission field? Ideally, you want to be debt free, but this is not always possible. Recent college graduates often face this conundrum. Depending on the amount of debt, it is possible to restructure your support package so that you can pay off your debt. For example, instead of investing in an IRA, these funds, along with a portion of your stipend, could go to pay off your student loan with the goal of retiring it within ten years. Who am I answerable to while I am on the field? Locally, the missionary is answerable to the Field Director who is one of your co-workers serving on the field. In addition to the Field Director, GMI’s Director of Field Operations works out of the Home Office overseeing and interacting with the missionaries regarding their day-to-day ministries. The Executive Director of GMI, among other things, is charged with leading the mission to accomplish its overall stra–tegic initiatives and goals. Ultimately, the GMI Board is the governing authority over all mission activities. What are GMI’s goals for the future? a part of pioneering teams in Nicaragua, Paraguay, and Mozambique to evangelize, plant churches, disciple, and train believers to advance the ministry in these countries. In addition, GMI needs people to work in many of our established fields to disciple; evangelize; work with youth, children, and women; come alongside the national churches and believers in these countries to help develop new ministries and outreaches; and to otherwise share God’s grace!